The SEAT Ibiza is the Spanish firm's take on Volkswagen's Polo - quite literally, as the two cars share much of their structure and mechanical components. The SEAT Ibiza is the Spanish firm's take on Volkswagen's Polo - quite literally, as the two cars share much of their structure and mechanical components. Where the Polo is rather staid and sensible the SEAT Ibiza has always been a little bit more stylish and fun, and cheaper to buy (both new and used). Like the Polo it has grown with every incarnation, so the cabin spacious for a supermini. 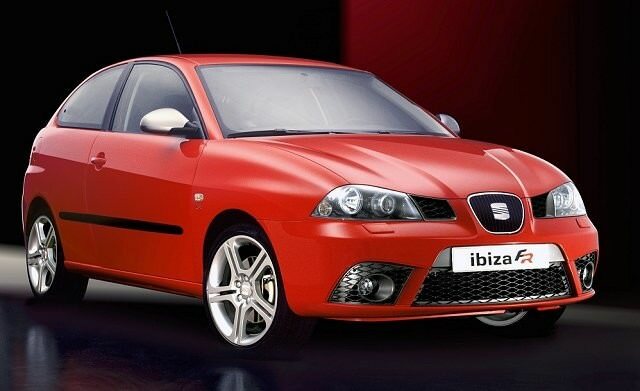 Introduced in 2002 the Ibiza would continue in this form until 2008 - with a slight cosmetic makeover in 2006. Obvious rivals include the Volkswagen Polo, as well as its Skoda Fabia cousin, while the SEAT Ibiza also lines up alongside supermini favourites like the Toyota Yaris, Ford Fiesta and Opel Corsa. The SEAT has always been among the most attractively styled in its class, while the simple, clear dashboard and instrumentation are also appealing. Offered in either three- 0r five-door variants the three-door was available in its hottest guises - FR and Cupra. They're rare, the majority of used choice in Ireland being the more sensible bread and butter mainstream models, usually in five-door form. Engine choice was as extensive as any Volkswagen Group model, though the Irish market seemed to opt for the 1.2-litre petrol unit predominantly, with the occasional 1.4-litre petrol and 1.9 SDI diesel available in the classifieds. That 1.2-litre unit is a three-cylinder engine with 64hp, mated exclusively to a five-speed manual gearbox. The 1.4-litre engine adds a cylinder, 11hp and a touch of refinement, too. Trim choices are the usual mix of official Irish models and the odd import, Costa and Costaplus trims making up the bulk of the available used choice, with the occasional Sport, Reference and Stylance variants in the mix. Costa covers the basics, Costaplus adding alloy wheels. The 2006 facelift changed little cosmetically, though the 1.2-litre engine's output increased to 70hp. With the 1.2-litre engine making up the bulk of the choice it's the pick of the range - choose a facelifted example for that small but useful boost in power. Five-door Ibizas bring practicality, while Costaplus spec delivers all the creature comforts you could possible want in a sensibly-priced supermini package. A smart and inexpensive alternative to the Volkswagen Polo, the SEAT Ibiza is an enjoyable, good-looking and practical supermini. Only limited engine choices in the classifieds limit its appeal, though if you're just running about town the 1.2-litre example is more than adequate.